For most of us, our travel lists are made up of sightseeing, souvenir shopping, and even trying out extreme sports. But one thing we all have in common on our lists is Food. Whether it's tasting the most exotic delicacies on the city streets, to sit down dinners at Michelin star fine dine restaurants, food really mirrors not just the county's taste but also it gives our taste buds a glimpse of the story of a nation's culture. Across Asia, here are a few of my favorite and truly remarkable dishes that I have tried on my Asian expeditions. 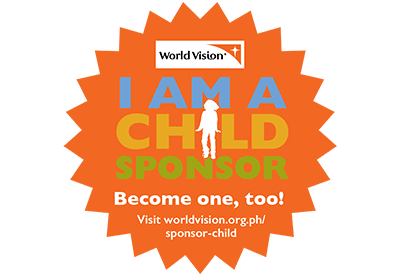 Let me share you some of them here. Probably the most famous dish of Siam, Pad Thai is something you can enjoy anytime of the day. We tried this delicious noodle dish on the streets of Nighttime Bangkok. Stir Fried on flat iron griddle, Pad Thai is best enjoyed hot off the grill. It has a variety of ingredients including eggs, shrimp, pork, chicken, lime juice, sugar, and a special rice noodle or as they call it lo mein noodles. Just on the street, we chose this hawker stall that sells Pad Thai during our second night in the city. I observed how it's being prepared and cooked and the chef's hands are just so fast I literally can't catch up with the small ingredients at that very moment.But what I love about Pad Thai is how you season it with condiments. I put a lot of chili and crushed peanuts on top of mine. It was good! I can still remember myself telling my cousin that Pad Thai is a good reason to go back to Thailand. This perfect fusion of sweet, sour, and tangy tastes left a remarkable mark to our Beijing experience. The pork was completely covered with crispy batter and then deep fried to its perfect consistensy while maintaining its tenderness inside its coat. 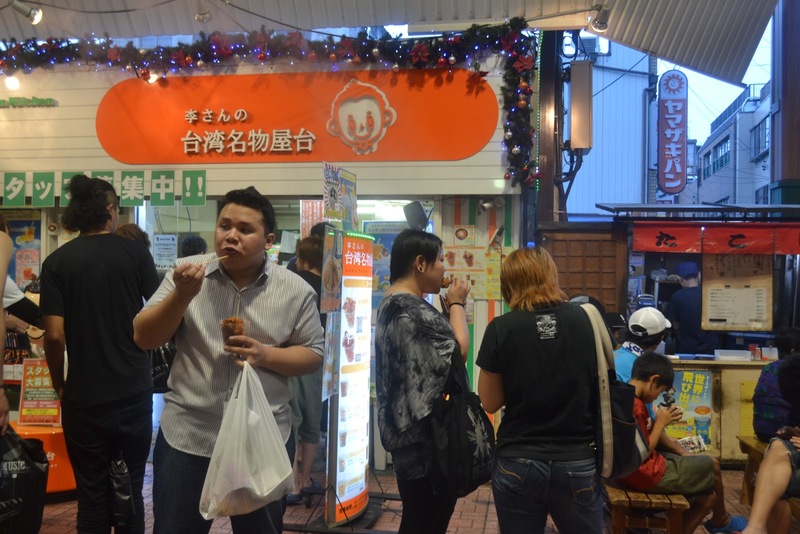 It was winter when we traveled around the majestic city and instead of water for drinks, hot soya milk were given for free to dine-in customers. We never missed their take on tomato soup where fresh tomatoes are mashed and pureed to make a hot soup. Served in flamed warmers, the soup is warm throughout your meal under the freezing cold of the outside chill. Dining in the heart of Beijing was sort of a challenge for us to be honest. There were no Menus written in English. Good thing the owner of the restaurant near Red Lantern House, where we stayed were very nice and accommodating to us. We cannot speak in Mandarin and he cannot speak in English so we relied on sign language and animal sounds to distinguish the kind of meat these dishes are made of. 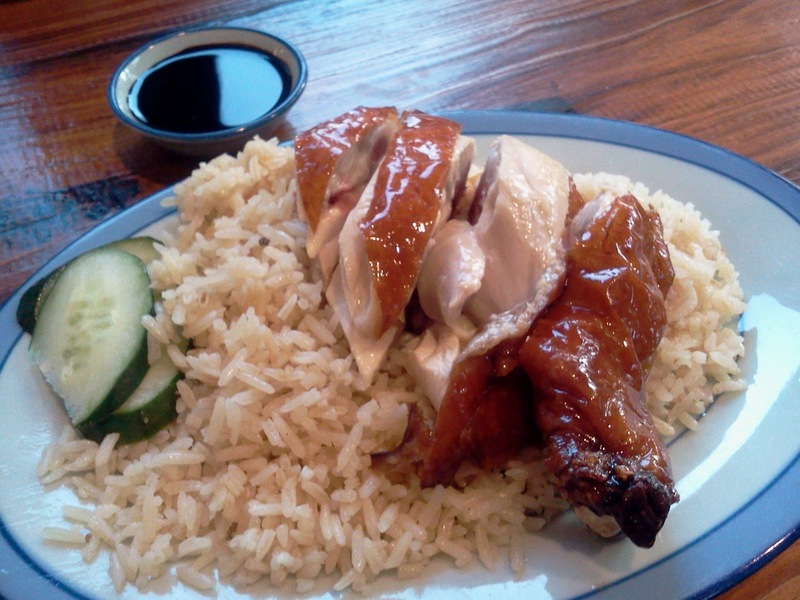 Originally from the Chinese island of Hainan, the Chicken Rice is a dish made up of two main parts, the chicken and the rice. HAHAHA But as funny as how literal its name is, this dish is so tasty! The secret to this is exfoliating the chicken with coarse salt which then creates this silky and smooth skin once it has been cooked, while keeping the meat tender and tasty. 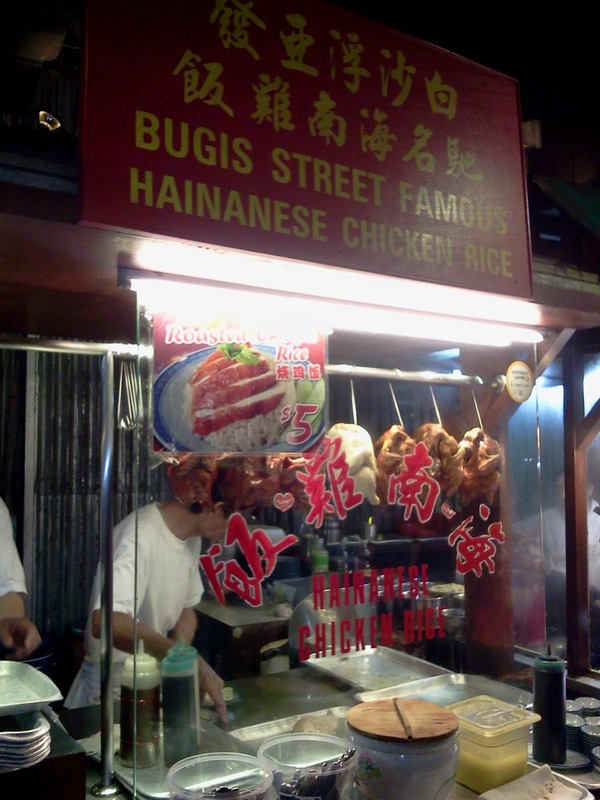 Although the sign reads "Bugis Hainanese Chicken Rice" this very store I enjoyed this dish is located at the bottom of the Singapore Flyer, South East Asia's largest Ferris wheel attraction. Just for 5 Singapore Dollars (Php 180.00) you can enjoy this delectable dish. As simple as it sounds and looks like, pairing it with its special peanut sauce (My Favorite) is just an adventure at your table. 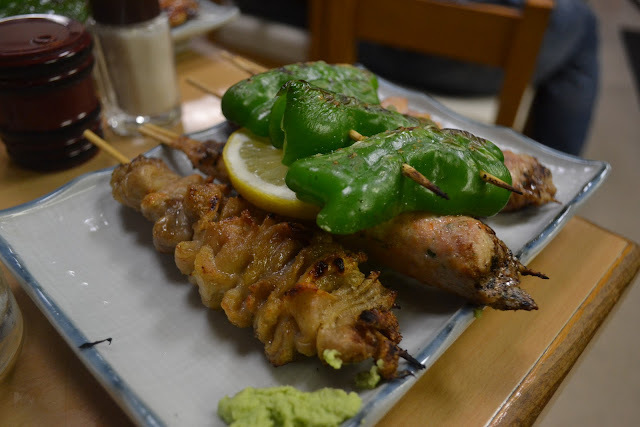 One of Japan's most famous street food is the Yakitori (Japanese for grilled chicken). Grilled over hot charcoal on little skewers called kushi, these are usually seasoned with salt or sometimes their special sauces. Before, I thought Yakitori is just made up of thigh fillet pieces but there did I knew that Yakitori can be prepared using boned chicken, chicken intestines, and even ground chicken to name a few. 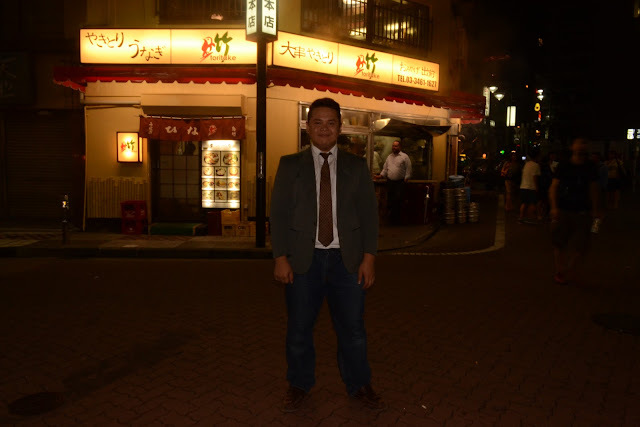 My cousin Carmina took me to this famous Yakitori place just a block away from the iconic Shibuya Junction. The place is small and cute but patrons line up just to be seated inside the cozy area. We were lucky enough to go straight right away since we were just a party of two and it was a weekday when we visited. Aside from Yakitori, Ate Carmina also ordered a tofu dish, an onigiri dish with salmon roe, and two bottles of sake. It was amazing! Prepared with a sauce usually made up of lime juice, salt, and pepper, Beef Lok Lak is a stir fried beef dish famous in Cambodia. It is usually served with rice and this one (from Golden Coconut at Siem Reap) with fried egg on top. It is a mixture of salty, savory, sweet, sour, and spicy! What else can you look for in a dish. As crazy as it sounds, the fusion of all these tastes gives it a perfect combination that will leave you wanting a second serving at your table.